We typically see one type of resume in the job hunting world – white paper, black font, and probably not much (if any) color. While this is the standard and will work for its intended purpose, it often doesn’t have a lot of personality. Certain jobs require more formality, so the standard is your best option, but for those jobs that ask for creativity in the job description, or simply demand something unique – add some personality! Change the design: Most resumes follow the same standard layout, but they don’t have to! You could put your document into unique, colorful sections, or simply add blocks of color for each section heading. Add some color: Color is just more fun to look at! If you’re keeping it conservative, simply add color to your name at the top so it stands out. Or, you could really go all out and do your whole resume in one color. Of course, ensure that this is still easily readable, and also send over a copy that doesn’t include so much color in case they’d like to print it. Be conversational: Formal language has its place, but it’s not always in a resume. You can still talk in a conversational way that uses layman’s terms. Be sure to include all relevant data and qualitative data, but present it more casually. For something extra fun, you can even include charts or graphs with your numerical data! Make it fit: Are you interviewing for a position at an art gallery? You could change your resume to look like an easel, or feature a paint palette in a way that’s relevant. You can always tailor your actual resume to the job position in a memorable way. Add something unexpected: Most hiring managers are used the same old thing. Surprise them! Add a creative drawing or graphic, use a custom font, or simply present it in a unique way. Try a different format: Resumes don’t always have to be on paper! You can try a video or slideshow resume. Of course, make sure this is okay with the hiring manager, and possibly leave these for the job positions that say they’re actively seeking something different in your application. Add a photo: It can be nice to put a face to a name. In some cases, you might want to include your photo. You could also include a photo of something you accomplished, whether it was a build in your job work, or an event photo from something you planned. 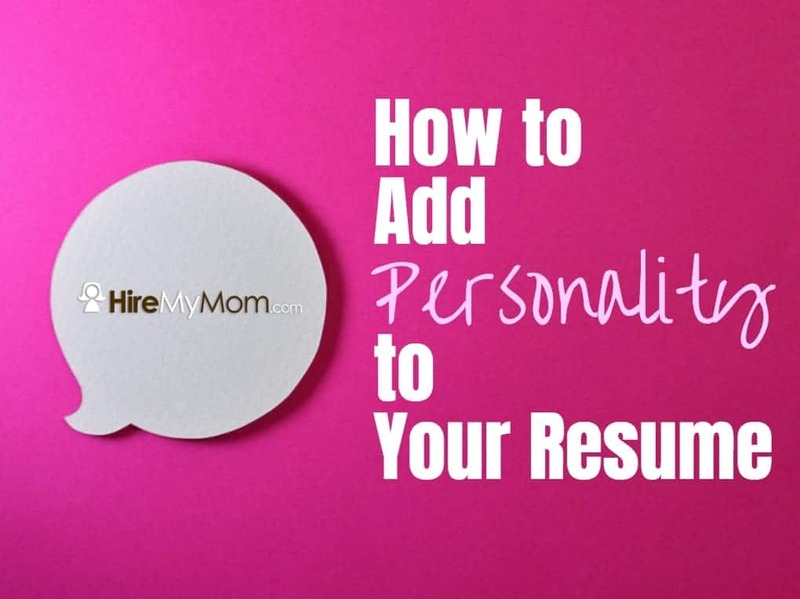 Include what’s needed: No matter how you choose to add personality to your resume, it’s important that it still includes important information. Be sure you’re not leaving out any important and relevant job positions, accomplishments, or education. At the end of the day, that will still be the most important part!